The original web page has since been taken down, presumably because of opposition from the RCC because it was a Catholic web site. Fortunately we preserved the page and photos so you can see them for yourself. 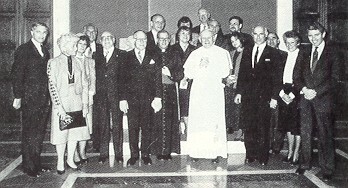 John Paul II with the Trilateral Commission (Apr. 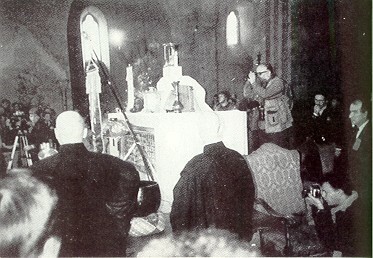 18, 1983). 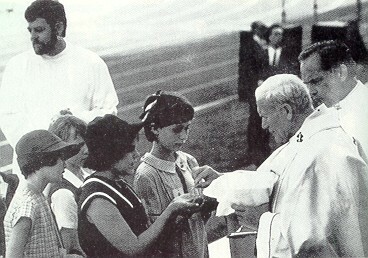 John Paul II with the B'nai B'rith (Mar. 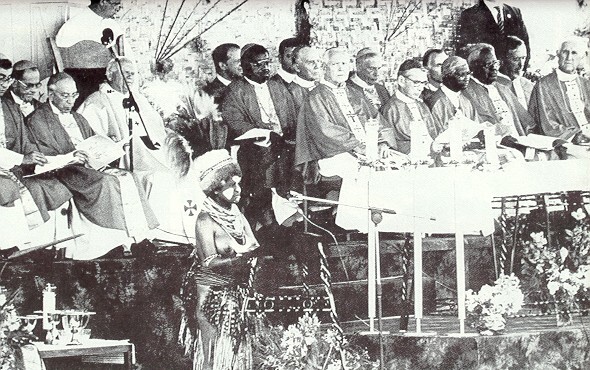 22, 1984). 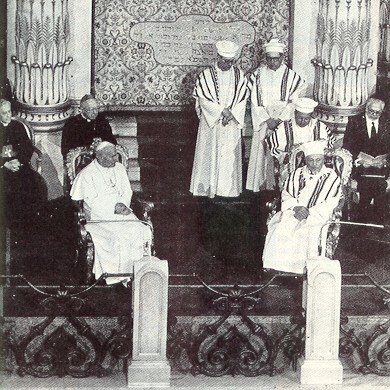 John Paul II at the Roman synagogue (Apr. 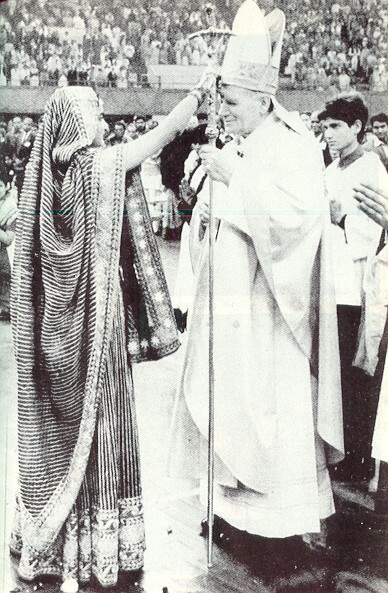 13, 1986). 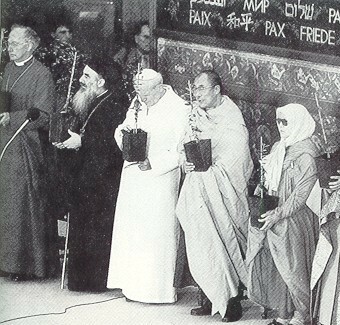 John Paul II with heretics, schismatics and pagans at Assisi (Oct. 27, 1986). Zoom-in on tabernacle area of previous photo.